"This LP is the perfect combination of Crossover and Modern soul filled with strong black male group harmonies and funky instrumentation, a recording to savor the palette of soul and funk collectors across the board. This release isn’t just about the vocalists but also the variety of talented musicians and unique instrumentation involved in creating this timeless testament to West Coast African-American consciousness of the late 70s and early 80s. One of our key initiatives at Jazzman Records is setting the facts straight, righting the wrongs of mistaken identities and often giving previously unknown artists credit where credit is well overdue. 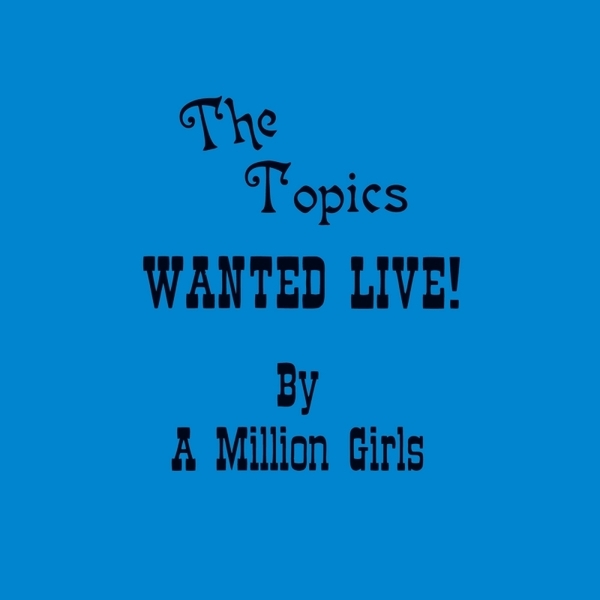 In this case, our main topic of discussion is The Topics and their “Wanted Live! 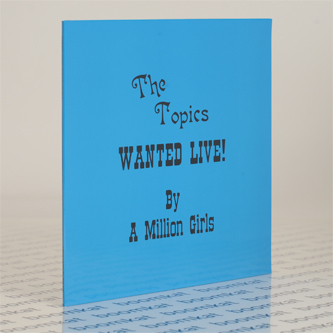 By A Million Girls” LP. The funky soul archaeologists here at Jazzman are extremely proud to announce this forthcoming release in our Soul Spectrum? Series. We’ve invested all our fine tuned resources into making this LP reissue even better than the original. All 8 tracks have been digitally remastered while all of the original LP cover art has been reproduced as an exact replica of the original LP issued in the early 1980s. You may try your hand at obtaining an off condition copy in the 1,000GBP price range or file our brilliant limited edition reissue with a bonus extensive liner notes insert in your collection for only a fraction of the price. As group harmony and soul groups go, in many cases, there are some very popular group names, popular to the point of redundancy. Often the same name was used by different, multiple groups all around the country, round about the same time, coincidentally unbeknownst to one another. While the artists didn’t intend to be any less unique than others sharing the same name, this duplicity has caused quite a bit of debate and confusion for record collectors over the years. The mystery of this rather ambiguously designed Modern Soul LP has haunted collectors for decades. Now for the first time ever, we can finally confirm that this specific West Coast group is (from Fresno, CA and) only recorded on the Token and NCS labels and is not to be confused with any other groups of the same name who recorded on the Heavy-Duty, Dream, TSG, Noodle, Carnival, Chadwick, Mercury, Castle and Brother III labels."